Personal Lea: Welcome to my world! 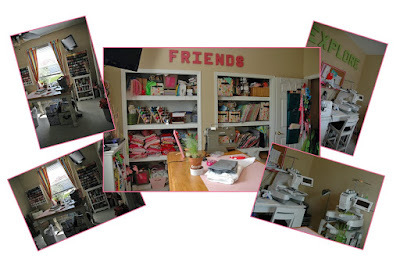 Several people have asked me to post pictures of my sewing room, so, here you go! I have a Singer serger and and Singer sewing machine and 2 Babylock BMP embroidery machines (which I LOVE). I do have a lot of fun making things in this room and I am very thankful that the kids let me take over the playroom without too much fussing!